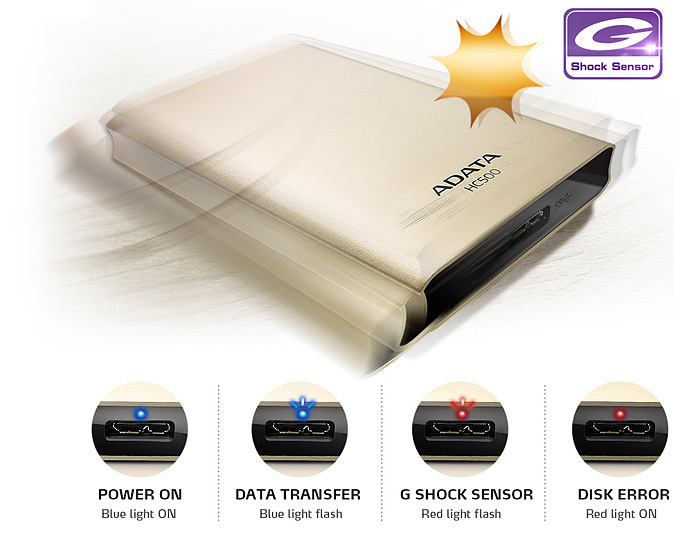 ADATA’s HC500 external hard drive is the next generation in storage technology. Gone are the days when all a hard drive could do was back up the files from your laptop. The HC500 does this as well as numerous other things such as record all your favourite TV programmes (and because there is so much space, you can fit hours and hours onto the hard drive). On top of that, it gives you personal cloud storage with a one year free trial. We are often reminded of how important data protection and back up is these days. Businesses reportedly lose BILLIONS every year simply because they did not have an adequate backup. The ADATA HC500 provides you with everything you need to be safe. An offline backup on the device itself and an online backup within your personal cloud will ensure that even if everything goes wrong and breaks on you, you still won’t be in danger of losing your data. The hard drive itself is very easy to use, with simple installation instructions and a super-speed USB 3.0 connection. The metal exterior with the g-shock sensor protection insures that if you drop it or the dog eats it, then it should still work just fine. It is light and manageable so that you can easily carry it around and doesn’t seem to have anything complicated about it when using it. This makes it the ideal hard drive for both technology whizzes and beginners alike.